Vivo is the smart phone manufacturing company, which is continuously working to bring latest features in the smart phones at the affordable prices. The company has launched its new Y93 smart phone is Pakistan and this mid range mobile phone is new addition to youth-oriented Y series and it is powered by 4030 mAh battery, which can give power to run this smart phone for all day long. The new smart phone, Y93 has the features of trendy and striking design and it has new Halo FullView display, which is paired with Starry black and ocean blue colors and they are packed with curved 3D body to provide the uninterrupted and immersive user experience. 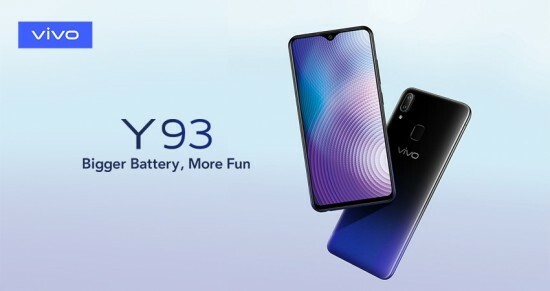 Y93 New Addition to Vivo Y-Series Smart Phones in Pakistan. This smart phone has trendy 6.22 inch Halo FullView display, which can give Y93 with beautiful design to resemble halo of rising sun. this mobile phone has the viewing experience with smart design and it has smart hand gesture controls to make the display large and it can be handled effortlessly. The smart phone, Y93 has the trendy back cover gloss painting process and it is blending deep black and shimmering blue and it has 3D curves, which is perfect on your palm that gives irresistible experience. The smart phone, Y93 has 8 MP front camera, which can capture the pictures with more facial details and it has Ai algorithm, which can detect your gender, age, skin tone, skin texture and lighting environment. This smart phone gives facial enhancements, which are personally customized to give most beautiful results. You can also enjoy the selfie experience and has AR stickers, which can enable each of your selfies to stand out from crowd. 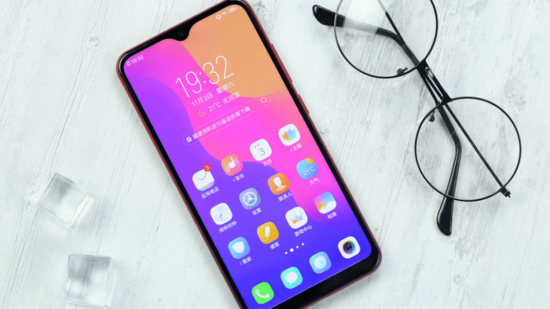 The smart phone, Y93 has 13 MP main camera on the rear side, 2MP secondary camera and it is added with optimized photo algorithm, which can get depth of field information to the rival professional grade bokeh shots. This smart phone has high capacity, 4030 mAh battery, which is complemented by exclusive, smart energy and power management system. You will use it for long time without worrying that it will run out of power. The smart phone, Y93 runs multiple apps with great ease and it has 3 GB RAM and Qualcomm Snapdragon 439 Octa core SoC. This smart phone has built-in storage of 32 GB and it can be expanded by adding 256 GB microSD card. Y93 can help to unlock the smart phone with rear fingerprint scanner and it is as fast as 0.2 seconds. This smart phone is combined with Face Access and unlocking of phone will become easy and convenient. Vivo Y93 is provided in the market for recommended retail price of Rs.24,999 in starry black and ocean blue colors. The smart phone comes with one year official warranty and 6 month warranty is provided for accessories. Vivo is offering free 15 days replacement if there is any issue on the quality.